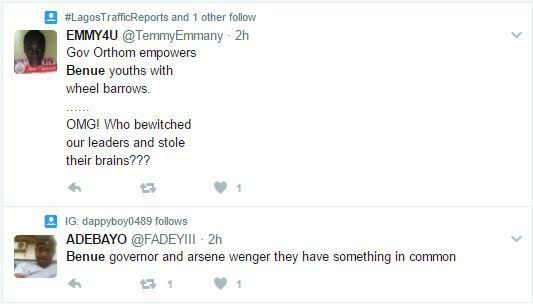 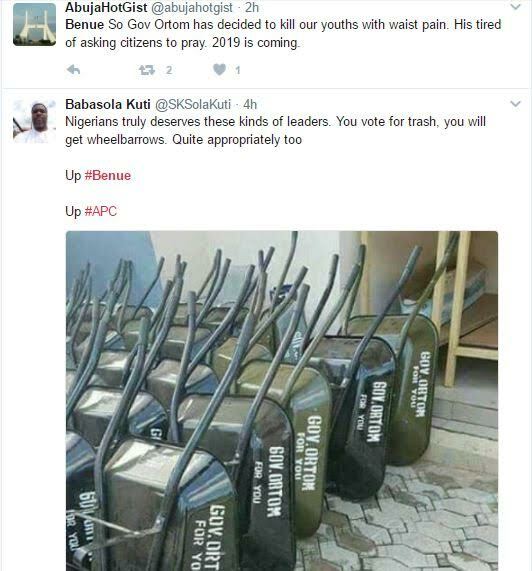 Nigerians on Twitter react after Gov. 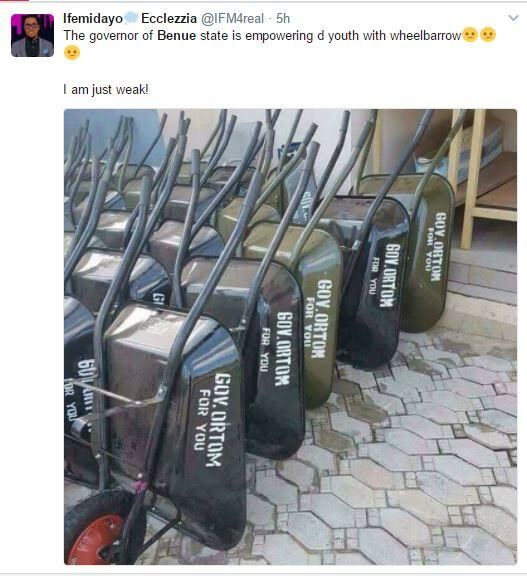 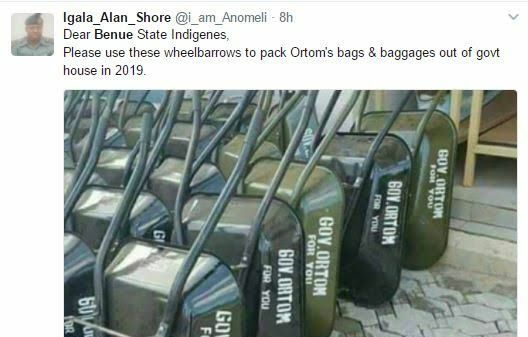 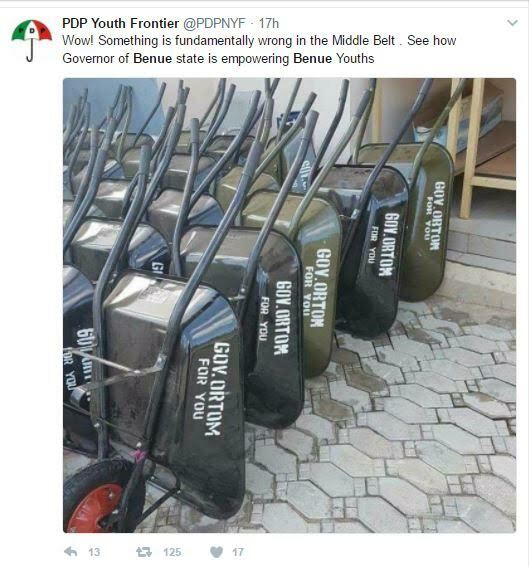 Ortom donates hundreds of wheelbarrows​ to youths to empower them. 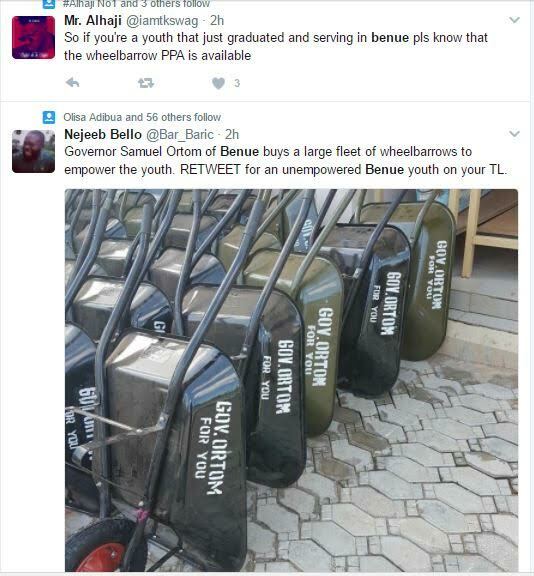 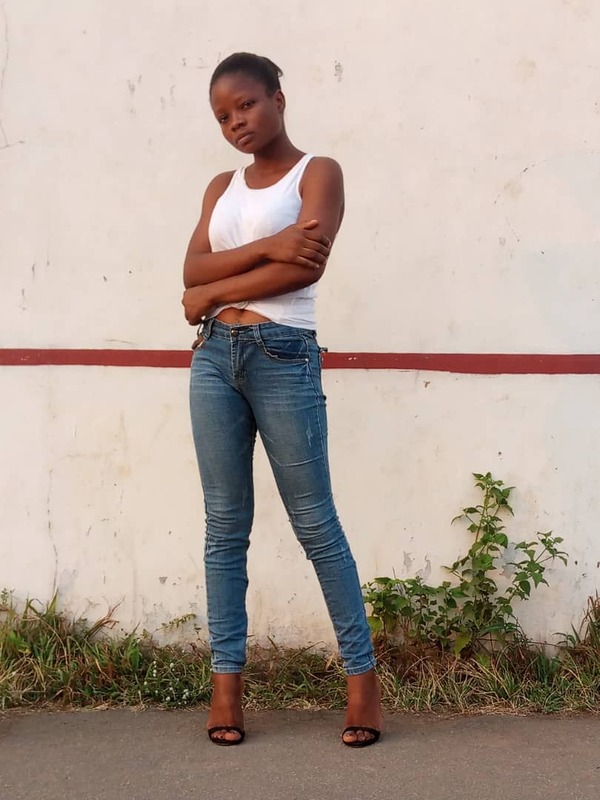 HomeNEWSNigerians on Twitter react after Gov. 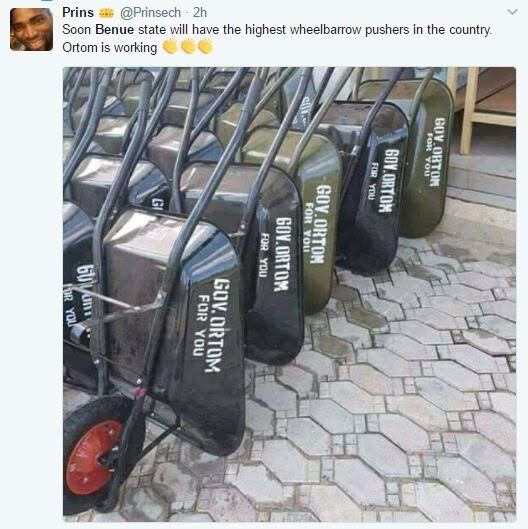 Ortom donates hundreds of wheelbarrows​ to youths to empower them.